Kulas Maids Inc. is fully insured and bonded and our company’s goal is to keep your home sparkly clean. Because we have been in business since 1983, you can trust our cleaning service to clean your Lake Bluff home. Kulas Maids offers skilled maids, proper equipment, and green cleaning products. 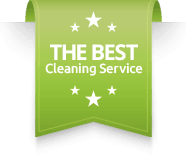 No wonder Lake Bluff residents chose Kulas Maids Inc. as their cleaning service! Does your hectic schedule keep you from cleaning your home? Kulas Maids Inc. is the best house cleaning service that you can hire in Lake Bluff, Illinois 60044. We pride ourselves as a house cleaning service with the best customer service reputation. Because we offer a 100% satisfaction guarantee, if you are ever unhappy with the results of your house cleaning, we will return the next day to reclean it for you. Kulas Maids Inc. extensively trains their maids so that they are prepared to work beyond your expectations. Our maid service consists of 4 maids coming to your home with their own cleaning supplies and equipment. Kulas Maids can assure you our maid service in Lake Bluff will clean your home quickly and efficiently.